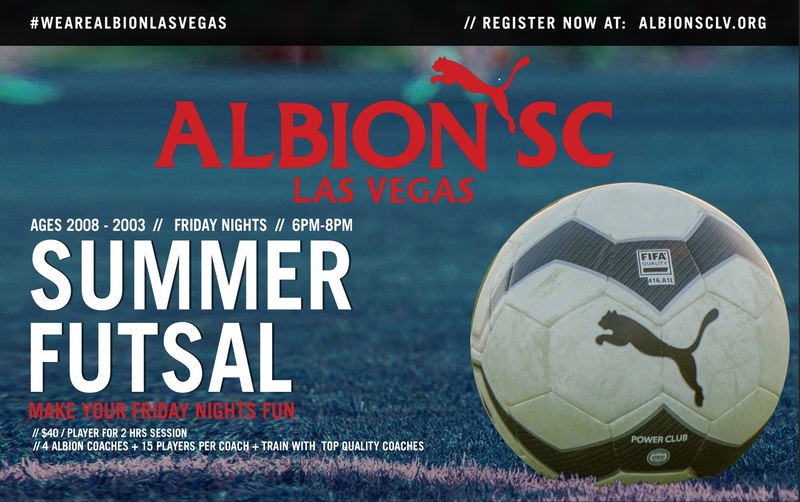 Albion SC Las Vegas is bringing soccer play indoors on Friday evenings throughout the summer! We have set up an incredible opportunity for our players to get out of the sun and heat.. to enjoy some great evenings playing Futsal! What is Futsal? Futsal is soccer played on an inside court with a smaller, heavier ball that encourages ball mastery and ball control. The game is played with rhythm and speed that creates quick and controlled pass and move combinations. Why Futsal? Playing Futsal develops ceative mastery of the ball... developing intelligent players. The nature of the ball promotes ball mastery and the indoor surface means that the game is quick and intense, with limited time for decision making. Angles and spaces dominate the game whilst players develop creativity and vision that help them pass and move. Futsal highlights the focus of ball mastery and game intelligence. a group thus developing game intelligence. 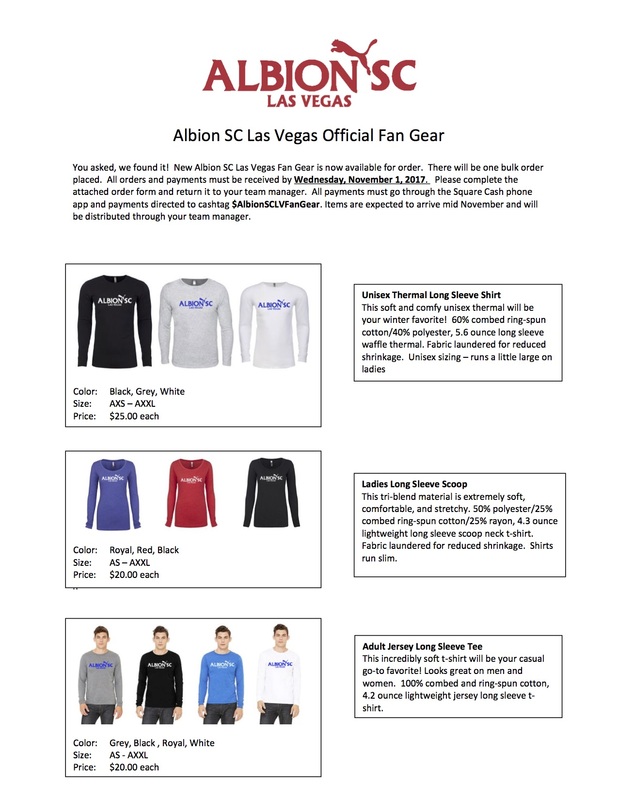 FRIDAY NIGHT SESSIONS: For the players that just love to play the game, love being involved, and want to develop to their highest potential, we believe that these Albion SC Las Vegas Futsal friday night sessions provides the perfect foundation for football development indoors and out of the sun and heat. This program is open to players of all ages and abilities so that any player that is interested in learning the game of Futsal and developing as a player, has the opportunity to play.